We use top quality raw material and our products are known for their excellent performance and optimum quality. Milling cutters are manufactured using the latest and superior alloy steels and grade steel that provides high working hardness for about 600 degrees centigrade working conditions. They come in corrosion resistant finish and are also available in straight tooth form that supports both light and heavy deep slot operations. Over the years, convex milling cutters have been used extensively in milling surfaces of components and producing profile and components. Convex cutters come with teeth on the peripheral surface or with the side or a combination of both. Maxwell offers a comprehensive range of high quality convex cutters which are used to mill the different surface materials. 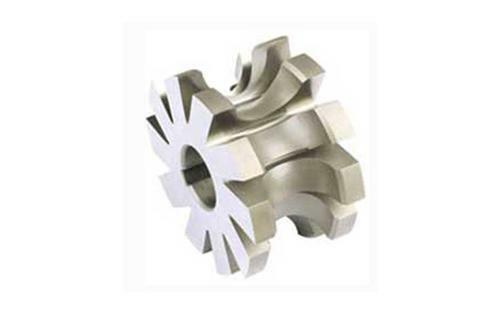 We have convex cutters available in different sizes, ranging from 10mm to 100mm in diameter. Most importantly, our milling cutters are applicable in different sectors and serve different purposes. Our convex milling cutters are specially designed to achieve precision cutting of any shape, however intricate it could be while also providing vital support to users to maintain correct cutting angle. We make convex milling cutters that are backed by precision construction standards for optimal performance. We also specialize in offering unique and comprehensive convex milling cutters which can be customized in tandem with our client’s specifications. Thanks to their unique features such as longer service life, abrasion resistance and corrosion resistance, our convex cutting mills have become famous with consumers who value quality and ease of operation. This has made our convex milling cutters command high demand from all around the world. Maxwell is known for producing convex milling cutters that are well known for high performance and longer lifespan. Our HSS convex milling cutters are form-relieved for milling complex but outstanding half circles on any type of material made using a radius of 200mm. We have established ourselves as one of the well known and most respected manufactures and suppliers of convex milling cutters around the world. In addition to the above, convex milling cutters that we produce have high heat resistance properties to ensure that less heat is used in cutting even the hardest of surfaces. So what should you look out for when shopping for an ideal convex milling cutter? To begin with, an ideal milling cutter should be one that is large enough to last the whole work surface so the job can be done fast and swiftly. On the same note, you also need to consider that a convex milling cutter with a small diameter cutter will pass over a surface in a significantly shorter time than one with a big diameter cutter which is fed at the same speed. This will significantly bring down your cost of production.